Say NO! to controllers with Kirbys new game for your Game Boy Color. You dont need any buttons at all to control Kirby in his latest game, its all about the Tilt Sensor. 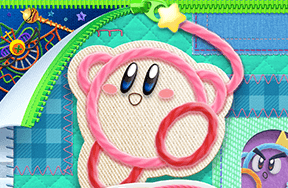 The stars have been stolen from the Dreamland's sky and it's up to Kirby to get 'em back. You get to take control of the round puffball and roll him from one end of Dreamland to the other dodging traps and bad guys the whole way. Kirby's Tilt 'n Tumble Game Info The craziest thing about Kirby's new adventure is the way you control him. There's this totally new chip called a Tilt Sensor built into the game cartridge and it can tell which direction is up. If you tilt it to one side it can tell - it's weird. You roll Kirby through mazes by tilting your Game Boy Color (GBC) to roll him around. You can even make the Kirbster jump by giving your GBC a shake. Kirby's Tilt 'n Tumble Game Problems There are a few problems with the Tilt Sensor. It has to start out flat when you turn on your GBC or it gets all messed up. And you have to make sure nobody bumps you and sends Kirby flying. It takes a while to get used to it but it's fun. The sound effects are ok. 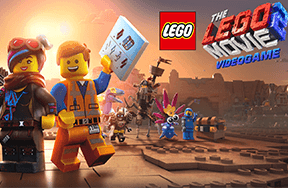 The levels are great and there are five mini-games you can unlock for more fun. Kirby's Tilt 'n Tumble Final Word It's not another boring game, the crazy new Tilt Sensor works and it's a riot. There'll definitely be more Tilt Sensor action when the Game Boy Advance hits the shelves. How Hard is Kirby's Tilt 'n Tumble? The leader of a puffball invasion force.